We are seeking a space in Asheville to Call home! 100’x60’ playing surface 120×80’ with inside & outside safety lanes. May have columns in practice venue a minimum of 5’ from game track, 10’ in public venue, but clear- span120’ x 80’ area preferred. 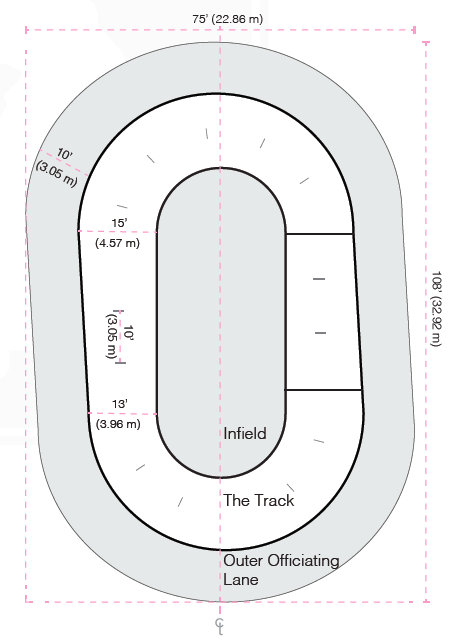 Track boundary lines must be taped or painted on floor surface. Acceptable surfaces include concrete and hardwood. Preferred surface would be specifically engineered for full contact skating sports, like sport court. Ability for vendors & league to sell souvenirs & concessions. Diversity of spaces desired – we’d like to play in several places. Prefer to work with event mgmt or recommended event contractors. Please email the Blue Ridge Board of Directors at info@blueridgerollerderby.com with any questions.